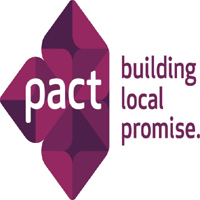 Pact accomplishes this by strengthening local capacity, forging effective governance systems, and transforming markets into a force for development. Pact Tanzania is a field office of "Pact" an international non-governmental and non-profit making organization with its headquarters in Washington DC. Pact Tanzania exists to build local capacity to enable systematic solutions that allow those who are poor and marginalized to earn a dignified living, be healthy and enjoy the benefit nature provides. Reporting to the Senior Human Resources Officer, the Human Resources assistant will be part and parcel of the Pact Tanzania Human Resources team. S/he will assist in all Human Resources operations and functions including recruitment, staff benefits administration, timesheet management, staff performance management, employment contract management and other related duties as assigned by the supervisor. Assist in recruitment process of various vacancies i.e. raising requisitions, processing advertisements of vacancies, shortlisting of application, arrange and participate-in interviews and conduct candidates reference checks. Minimum of two (2) years relevant working experience in human resources and in a similar role, preferably with an International NGO.